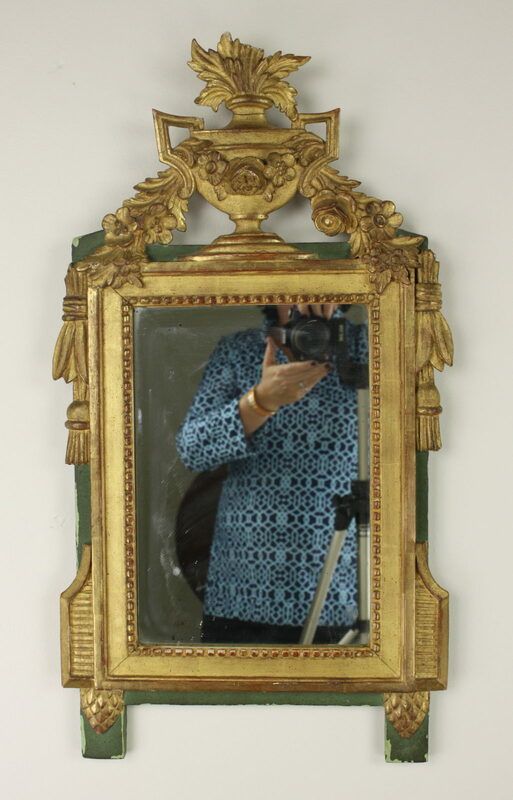 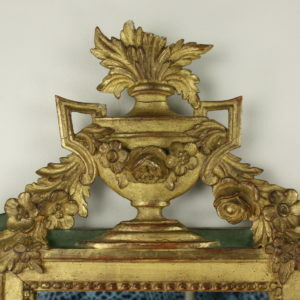 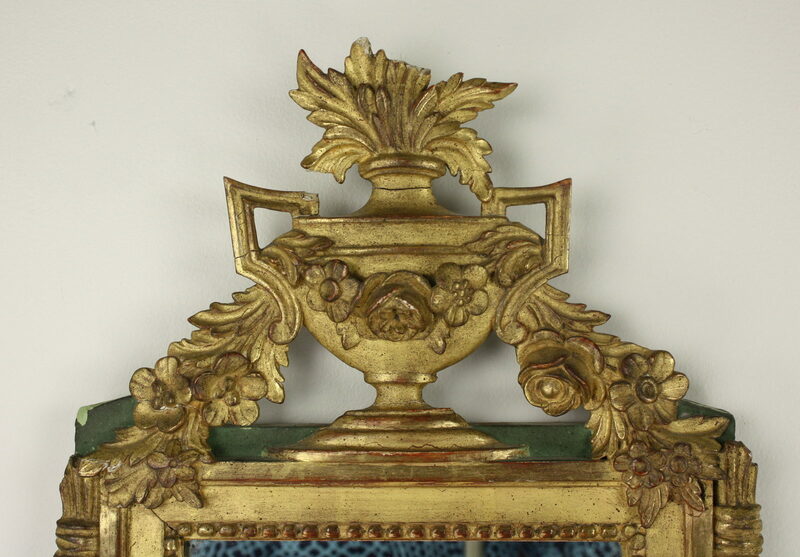 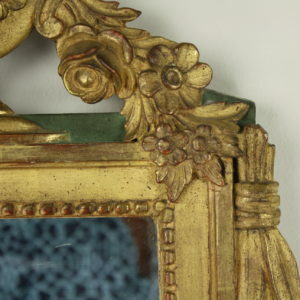 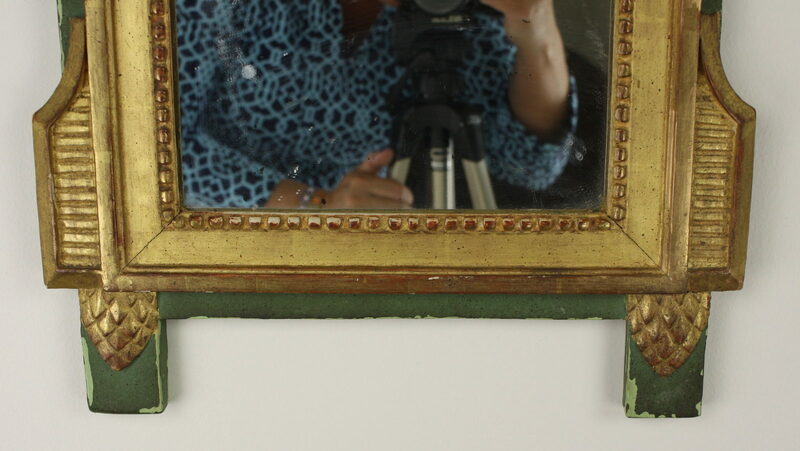 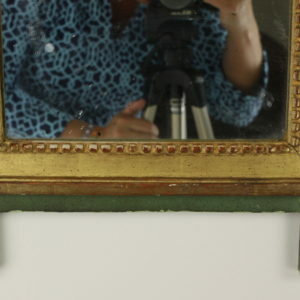 A beautiful mid 19th Century carved and gilded French wall mirror in the shape of a classical vase and floral garland. 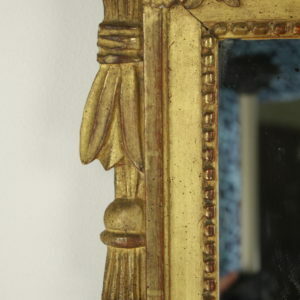 The glass, though later, is also 19th century. 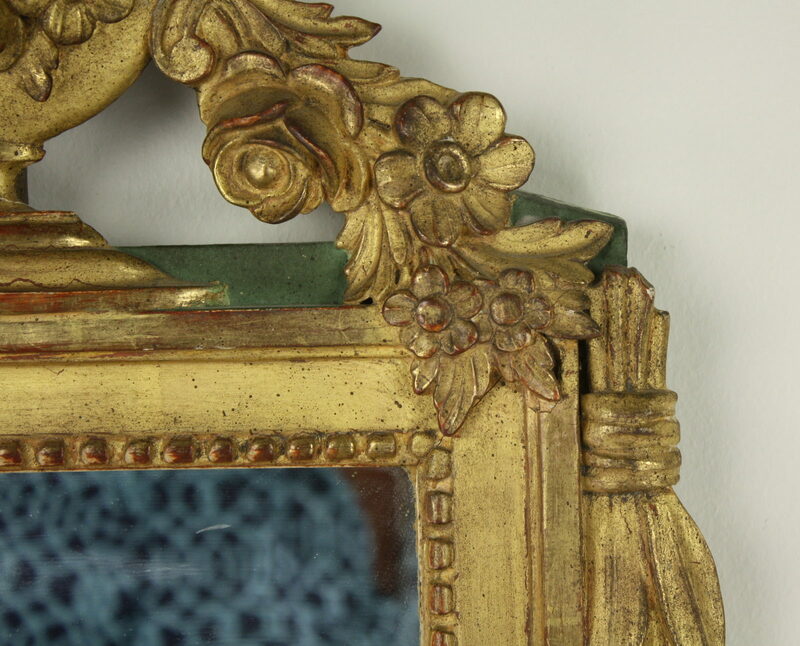 There are some small chips and old repairs which we feel adds to the character and grace of the piece. 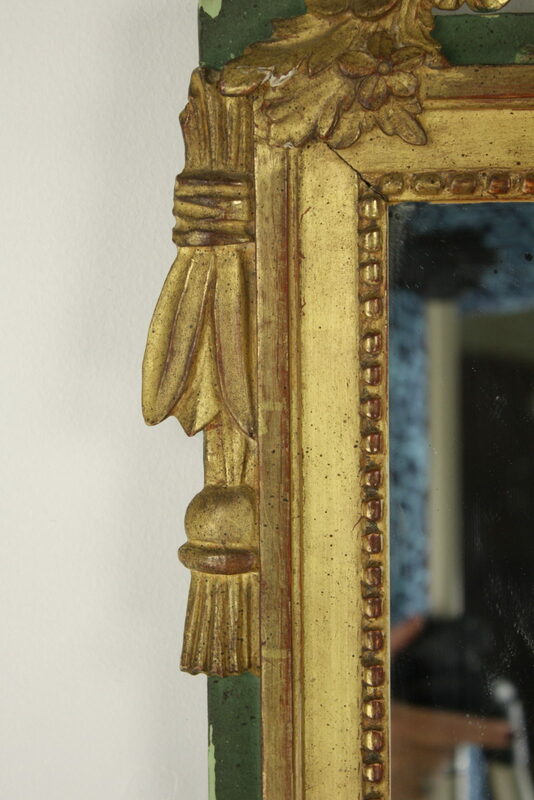 Newly wired for hanging.